Boutique Suites: Mare Moto, located in the fashionable area of Chelsea, London, is a unique property, that offers some of the best serviced suites I have ever seen.The suites are extremely spacious, unusual for London rooms, and are each individually designed in a different theme. The crème de la crème is their Suite One, which has a lavish spa pool jacuzzi.Each suite has state-of-the-art audio visual, high speed internet and en suite bathrooms with powerful walk-in showers.The suites are serviced daily, and include tea and coffee making facilities and mini fridges. Off street parking is also available. Almost more importantly, the guest service from the moment you book till you check out is genuine and beyond expectations. Apart from their Suites, Mare Moto offers a modern Italian Restaurant, Cocktail Bar and Nightclub, with live music, all on site.The Restaurant offers mouth watering classic, healthy and modern Italian food. With an option of eating indoors or in the outdoor terrace.Take the opportunity to sample some of the 65 handcrafted international cocktails in the Cocktail bar. Which also offers an extensive range of wines and beer. Finish off the evening in the Nightclub, which is also available for private hire. This unique combination at Mare Moto makes it a great place to enjoy a great night out without the costs of taxi’s to get around town.The location on Kings Road, is ideal for visiting all the great sights of London and getting a good dose of retail therapy. So next time you are visiting London, either for a short break, long business trip or a gathering with friends, don’t miss an opportunity to experience the luxury of Mare Moto. Presidential Serviced Apartments offer a great alternative to a hotel stay in London. Especially if you like the option of being able to cook your own meals on occasion. This is also a great option for groups or families who would prefer to spend their holiday funds on seeing the sights of London rather than a hotel breakfast! There is a selection of 58 luxurious studios and one bedroomed apartments, ranging from standard to executive level. All apartments are fitted with plasma tv’s and dvd players and offer aircon/heating and under floor heating in bathrooms. Fully equipped kitchenettes contain modern appliances including oven,microwave, dishwasher, fridge/freezer and washer/dryers.Having washer/dryers is an added bonus when travelling with families or on a longer business or leisure trip. All rooms also have in-room safes. In addition Presidential offer a laundry service, secretarial services, transfers, Chef & Nanny service and can arrange for a selection of groceries to be placed in your room prior to arrival. The apartments are conveniently located close to Earls Court station, making travel to and from Heathrow airport convenient and reasonable. There are supermarkets, restaurants and pubs in walking distance and it is ideally located for visiting museums and Harrods department store. 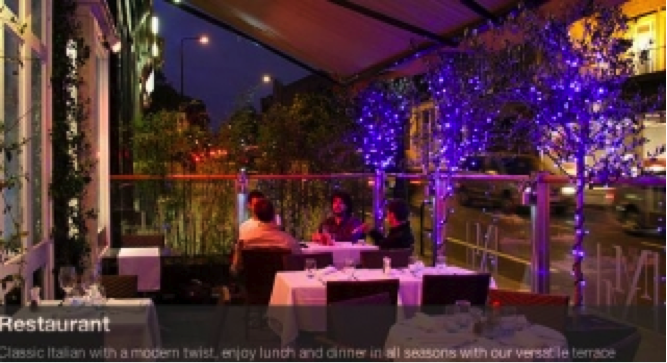 Yet, it is located in a quiet residential street with green gardens opposite, giving you a break from the hustle, bustle and noise of the London streets.The staff at Presidential, are extremely helpful and are always happy to help with any requests. Send us your story about a holiday destination or experience in London or England.